Do you use two step verification while you log-in to your Google account? If you do, you are really serious about your online security. Two step verification for log-in to to various online accounts add an extra layer of security against hacking of the user accounts. Facebook, Yahoo, PayPal and many banking websites already have enabled 2 step verification for logging in. Now 'Dropbox' is next in the row. Users manually have to enable this feature. 2 step verification includes a randomly generated one time password that the website sends to users predefined mobile via SMS or to email address. Then the user has to enter that one time password for verifying the identity. You may save the browser so that for the next few days, if you use the same browser and the same computer, does not ask again for the one time password. Dropbox yesterday announced the two step verification for all the users. 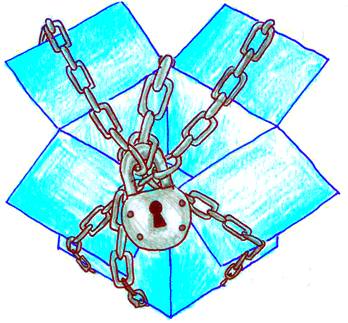 If you are Dropbox user, then you must enable this feature to make your data more secure. It takes only a few steps. ➤ Click on your name in the right corner and browser to Settings >> Security and then click on 'Two step verification' which should be 'disabled'. You have to enable it. ➤ Click on get started. ➤ Select how you want to get the one time password. Either by text based way / SMS or you want to create your own code locally with the help of an authenticator application. I think text messaging is the best way. Select 'Use text message' option and click on next. ➤ Now you have to register a mobile number where you get the message. Select your country and then enter your personal mobile number. ➤ You will then get a validation code. Enter the code received and you are done. ➤ You will then get one extra password. Write it down. This password will be used, if you lost your mobile or do not have access to your mobile for any reason. You can log in to your Dropbox account using this password. Now two step verification for Dropbox account is active.